The Byron Ledge Trail is closed. The Byron Ledge Trail once traveled all the way to the edge of Halema'uma'u Crater, crossing Kīlauea Caldera. Since the new eruption cycle began in 2008, most of the trail has been closed. It's still possible to hike from the Devastation trailhead for a mile to a great vantage on the volcano. Big Island Hikes has other hikes from this trailhead. See The Devastation Trail and Keanakākoʻi Crater. Hike: Head to the north side of the Devastation Trail parking lot and find the beginning of the Byron Ledge Trail. 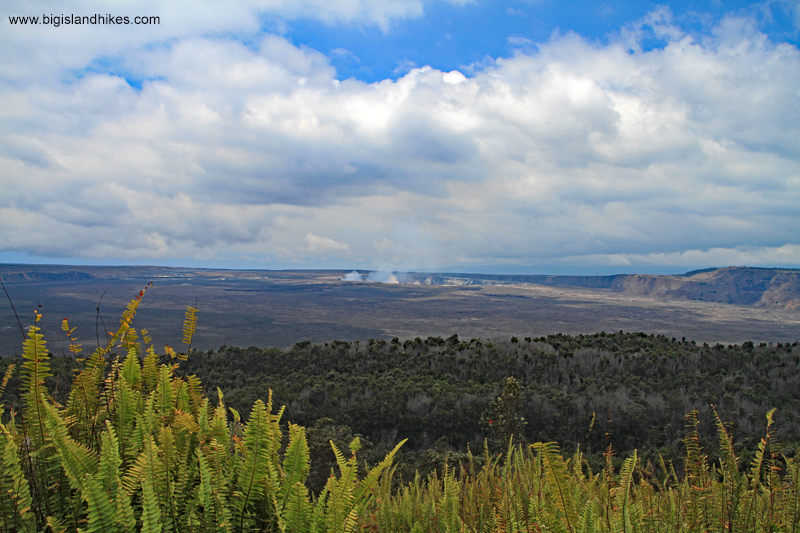 Follow the trail northwest as it drops in elevation toward the rim of Kīlauea Caldera. Take in the big views and return the way you came.